Planning on having friends or family over? A home sound system can make your experience a whole lot better. But home audio installation isn’t what it once was. No more bulky, high-fidelity speakers and other assorted equipment that could easily cost you thousands of dollars. That setup has been reshaped into something more compact and less expensive. Wireless technology now powers smaller, portable and affordable components that give you more bang for your buck. And when it comes to entertaining, having a system is a must. Music just makes a get-together better, and when home audio system installers you can enjoy it like never before. Here’s just a few things a professional installation can offer. Home audio installers offer a series of wireless products that allow you to control what you want to listen to from your phone, tablet or computer and stream it wirelessly to any room. Plus, you can start with one and then add throughout your home. You’ve got plenty to do when you’re entertaining, so being able to control the music with your voice takes one thing off your plate. A home sound system is one of the best uses for voice-activated technology with many solutions working with either Google Assist or Amazon Alexa to leverage voice control in ways that guarantee unprecedented command of the tunes you and your family love. 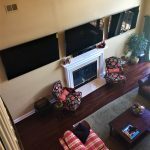 Your home audio installation can give you the power to stream your favorite music to any room in your home from your phone, tablet or computer. Play the same song in every room, or different songs in different rooms. If you love music and entertaining, a home sound system is a must have. There are many affordable options and ways to customize your experience. Contact your local home audio system installers to see the possibilities.